This site is dedicated to linking people to Bob McMahon’s images and writing. Bob lives in the Tamar Valley in Tasmania and he is on a quest to walk the entire coastline of Tasmania and all the while recording his encounters with ‘The Island’. Bob has already done quite a bit of the coastline in one way or another and there are images and writing waiting to find their way here. He is currently working on the Tamar Estuary’s shoreline ... so as they say watch this space! There are similarities between the cities of Valdivia and Launceston. 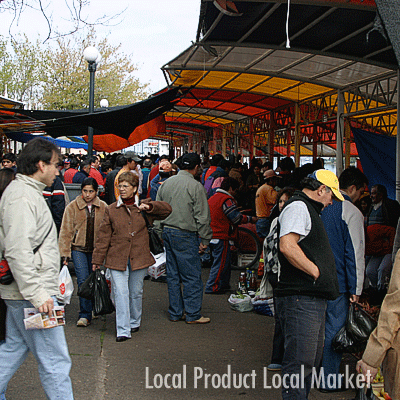 The former has a population greater by about half, but the latter is more spread out. Coincidentally, both cities are sited on the confluence of two rivers: Launceston has the South Esk and North Esk joining to form the Tamar River and Valdivia has the rio Calle Calle and the rio Cruces joining to form the rio Valdivia. Both cities are sited on estuaries subject to tidal influence: the difference between low and high tide in Launceston is more than three metres and in Valdivia a little over one metre. 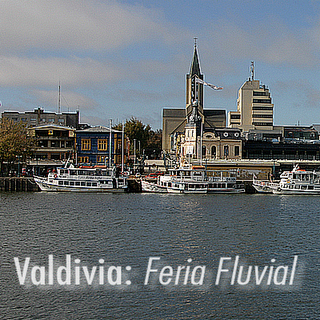 While Valdivia is only 17 kilometres from the Pacific Ocean with the tidal influence extending up the rivers, the rio Cruces in particular, for a considerable distance past the city, Launceston is located some 50 kilometres from the open sea and the tidal influence stops at the city. I went by bus from Valdivia to the town of Niebla at the mouth of the estuary, on the shore of the Pacific Ocean, a 17 kilometre drive along the north shore of the rio Valdivia on a sparkling autumn day under a rich blue sky. That the light and the feel of the landscape were so familiar was neither a whimsical interpretation nor an expression of homesickness on my part, but sensations derived from remarkable landscape parallels. Both Launceston and Valdivia share the same latitude and on the drive the bus passed through a few small copses of native forest; all too few and all too small, the predominant tree type being nothofagus, very similar to the Tasmanian myrtle, nothofagus cunninghamii. I stood in the hilly fishing village of Niebla under the shade of giant Tasmanian blackwoods, macracarpas (Monterey cypress) and radiata pines (Monterey pine) from California, surrounded by a screen of high gorse from Britain and low scrubby black wattles from Tasmania, so like home with its mix of Tasmanian native trees and shared exotics, some of them pestilential. But it was the landscape across the estuary that was more disturbingly like the landscape Tasmania has become in the past two decades. Eucalyptus nitens (New South Wales blue gum) plantations blanketed the hills, walling in the little historic port of Corral, captured in 1820 from the Spanish by the swashbuckling, outmanned and outgunned, Lord Thomas Cochrane. Just like the Tamar estuary, Corral had its own woodchip mountain, much smaller than those at Longreach and not sourced from native forests, with a ship in port loading chips for the Orient. 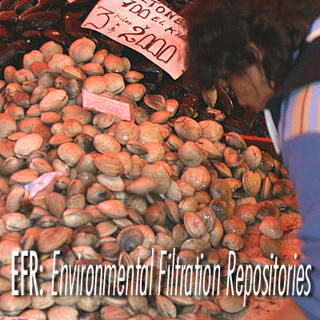 Both estuaries have a fish farm in a similar place: the Chilean one is along the shore from Corral towards Valdivia and the Tasmanian one is located on the Rowella shore opposite the Longreach woodchip mills and the proposed pulp mill. 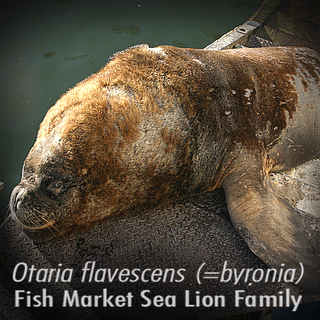 (As an aside, and this could be of future relevance to the operators of the Tasmanian fish farm on the Tamar, I was told in Chile by an authoritative source that the operator of the fish farm was getting increasingly concerned about the possibility of pollution moving downstream from the rio Cruces Sanctuary and affecting his stock, but was too scared of CELCO to make his concerns public). Which is where the fishing similarity ends, because, unlike the Tamar region, fishing is a mainstay of the local economy of the Valdivia estuary and coast. 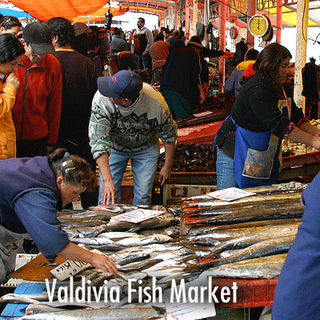 It is small scale, family and community based, and finds its vibrant expression in the roofed over, open-sided fish market located on the waterfront, the Feria Fluvial, in the centre of Valdivia. Operating just about every day of the year, the market was packed out on Good Friday morning, with shoppers in this very Catholic country making their faith-based purchases. I filmed and photographed this most filmic and photogenic of places: piles of fish from small herring sized to metre long barracuda named ‘sierras’ stacked like neat piles of billet-wood; shell-fish of many varieties piled up like miniature scree slopes, including sea-urchins which fetched 200 pesos, about 60c Australian per kilogram, and mussels just a little dearer; fishmongers, of native appearance (los naturales), hawked their wares in deafening machine-gun Spanish; an elderly woman, who had made herself a conical hat out of a newspaper, flashed a gap-toothed grin while the resident school of tame sea-lions hauled themselves out of the river onto a concrete revetment and bellowed clouds of steam at the tons of fish out of reach a couple of metres above their heads. I visited the fish market several times during my ten days in Valdivia and was left in no doubt as to why the fishing communities protested so violently against the proposal to pump pulp mill effluent into the sea. It was not just an issue of micro-economics versus macro-economics, the former expected to be sacrificed to the latter in this day and age, but the survival of traditional fishing communities, a whole way of life, that was at stake. One cannot but be heartened by their success. But there was a merciless equation in operation and the price had to be paid elsewhere. Moored in a long line downstream from the fish-market were half a dozen river cruise boats, Valdivia’s main tourist attraction being the boat cruises downriver to the historic forts of Corral, Isla Mancera and Niebla as well as cruises upriver through the rio Cruces Sanctuary to view the remarkable concentrations of black-necked swans, “an especially bad tempered but beautiful bird” asserts the Encyclopaedia Britannica, variously estimated at 5000, 6000, 16000 and 18000. One would imagine the upriver cruises to be an unviable tourist enterprise now, dead in the water you might say, like the birds the tourists came to see. The ecology of the wetlands, and the little tourist industry it supported, are joint victims of the merciless equation.